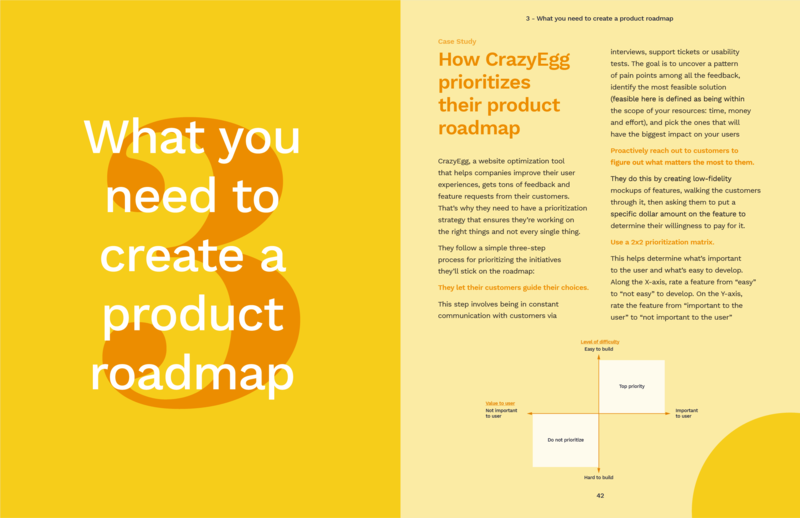 An all-around handbook for product managers who want to get better at approaching, building, and formatting a product roadmap—using a customizable product roadmap template. 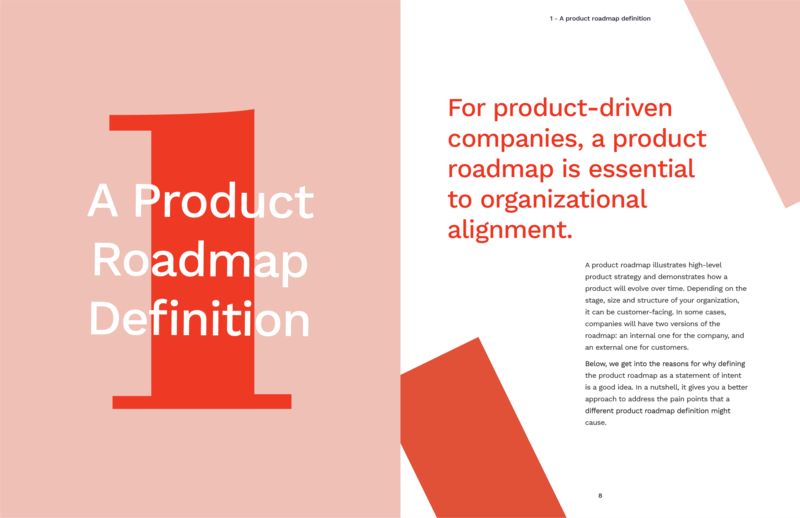 What's in the product roadmap ebook? 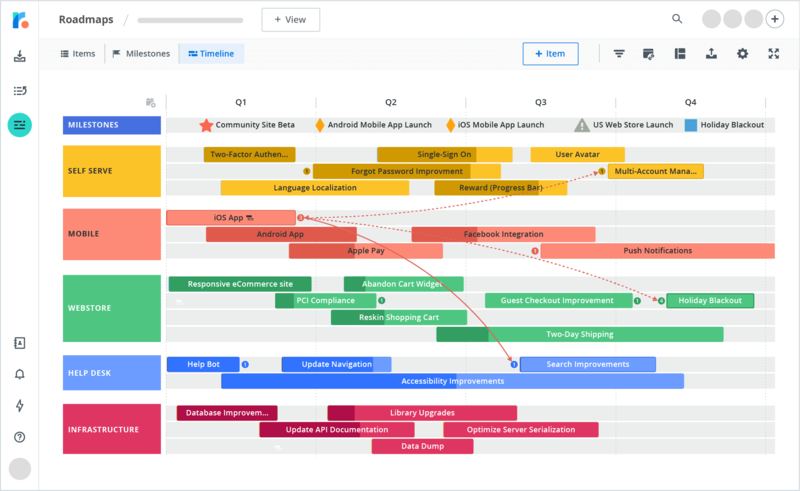 Product roadmaps are an instrumental tool in a product manager’s toolbox. 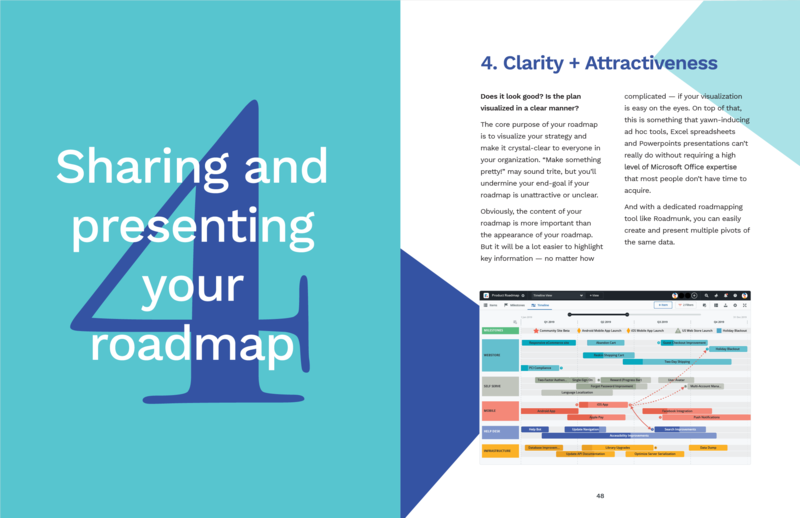 They’re so much more than a communication document or a literal “roadmap” that outlines how to get from point A to B. They’re statements of intent—they create clearer strategies and align stakeholders more efficiently. So, really, there’s no reason why product managers shouldn’t have one. Different teams need different product roadmaps. 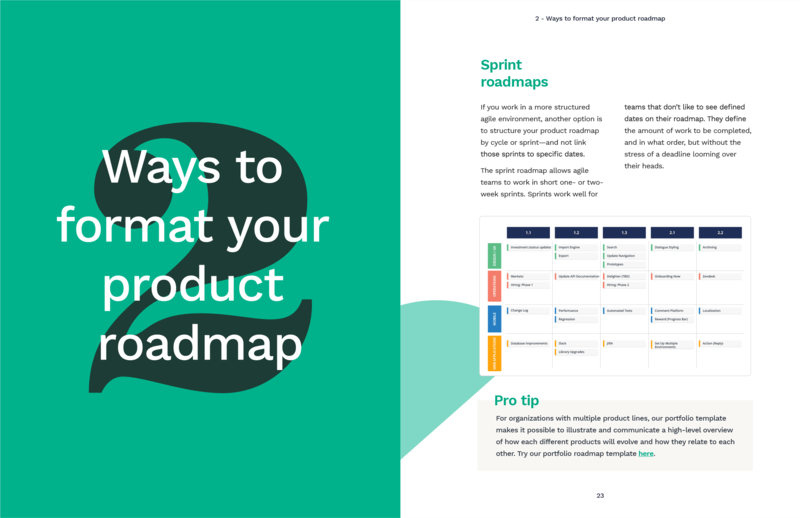 Choose a product roadmap template that fits your needs. 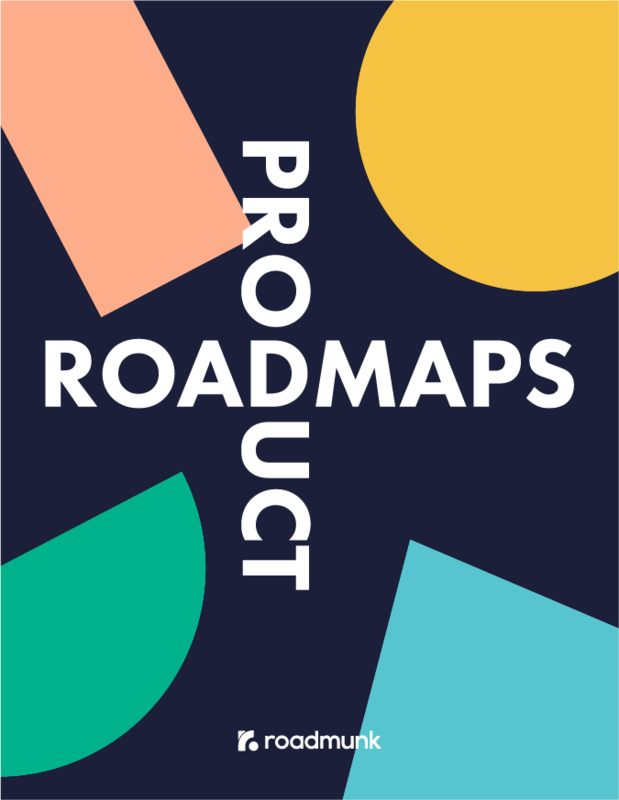 The product roadmap exists to make the lives of product teams much easier. It’s a dynamic, collaborative tool that allows you to communicate your product vision and product strategy. A product roadmap is not a literal map of directions. Before you get started, you need to establish why you need it, how you’ll build it, what format you’ll use, what initiatives you’ll prioritize, and how you’ll inject the user’s needs into it above everything else. You have a ton of questions about the product roadmap. This ebook is here to help you answer them. 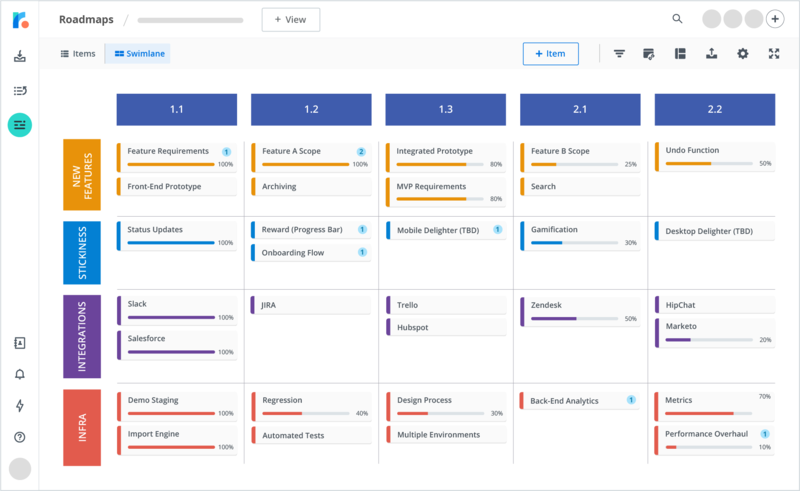 And to help you organize your product roadmap, we included practical, actionable product roadmap templates that you can customize by signing up for a free trial.